What the philosophers call “qualia”, the greenness of green and the redness of red, I think is a little too constricted. I believe that qualia are all the states you are experiencing and not experiencing now. Those qualia are those discriminations. So, effectively speaking, the thalamocortical core, or dynamic core as we call it, is responsible for giving rise to all these incredible numbers of discriminations. And, qualia are the discriminations. Obviously, an animal that could discriminate in this fashion would have a selective advantage and be selected in evolution. Gerald Maurice Edelman was born on 01 July 1929 in New York City. He received a M.D. degree in 1954 from the University of Pennsylvania School of Medicine. In 1960, he received a Ph. D. from the Rockefeller Institute. 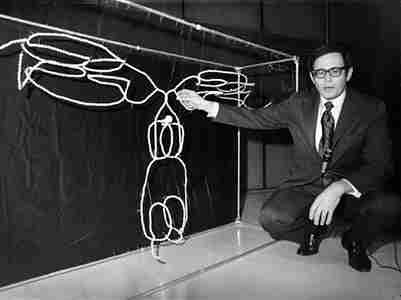 In 1972, Dr. Edelman received the Nobel Prize for Medicine for his research on the chemical structure of antibodies. Professor Edelman is currently Chairman of the Department of Neurobiology at the Scripps Research Institute (TSRI) in La Jolla, California. 1) Neural Darwinism: the Theory of Neuronal Group Selection (1987) which presents his theory of memory built around the idea of plasticity of the neural network in response to environmental stimuli. 2) The Remembered Present: a Biological Theory of Consciousness (1990) which sets forth his overall theory of consciousness. 3) Topobiology: an Introduction to Molecular Embryology (1993) which presents his theory of how the original neural network of a newborn's brain is established during development of the embryo. Very recently, Professor Edelman has published a shorter book intended for a more general audience entitled Wider than the Sky (2004) which summarizes his views pertaining to consciousness. In attempting to explain consciousness, Dr. Edelman recommends that we should attempt to construct models of functioning brains rather than models of minds. He believes that brains, through interactions with their surroundings, can develop minds. In contrast to the views of philosopher Daniel Dennett, Edelman accepts the existence of qualia and incorporates them into his brain-based theory of mind. Edelman proposes a biological theory of consciousness, which he explicitly considers to be an integral part of Darwin's Theory of Natural Selection and theories of population dynamics. Thus, he believes that the development of human consciousness and intelligence can be satisfactorily explained by standard Darwinian theory. Edelman rejects both Cartesian dualism and the newer and more widely accepted hypotheses commonly referred to as the Computational Theory of Mind (CMT), which describes brain functions as similar to the operations of a digital computer. Edelman argues that mind and consciousness are wholly material and purely biological phenomena which occur as highly complex cellular processes within the brain. Although rejecting Cartesian dualism, Edelman’s account of consciousness implies that he is a property dualist and an epiphenomenalist. He regards the conscious properties of neural states as different in kind from the physical properties of the brain. He describes these conscious properties, without much further explanation, as resulting from "phenomenal transformations" and regards them as being of only minor causality. These views about the nature and causal role of mental events are perhaps the most controversial of his consciousness theories. Except for his total rejection of the Computational Theory of Mind, Edelman’s views seem to be in the mainstream of contemporary consciousness studies. The broad notion of the "dynamic core" and the emphasis on the importance of large-scale neuronal integration linking anterior and posterior brain regions in the genesis of consciousness are similar to the work of the late Francisco Valera in France. Edelman's ideas are not easy to comprehend if you are not a neuroscientist. Even so, my best efforts at understanding the main consciousness concepts of Dr. Edelman are set forth in the following paragraphs. 1) Brain Versus Digital Computer: Edelman believes that the available empirical evidence supports the view that the brain is not in fact a digital computer. The human brain is something that evolution has put together in terms of an incredible circuitry, which is capable of carrying out pattern recognition rather than logic. Of course, human brains can carry out logical activities after you provide appropriate training. But the brain is not a logical machine first and foremost. It’s a pattern recognition device that has not been engineered but has been developed by natural selection. The connectivity of the brain is incredibly complex. Just the cortex of the brain, if unfolded, would be about the size of a table napkin. It would have 30 billion nerve cells or neurons, and one million billion connections. If you calculate the number of possible neural pathways, it amounts to approximately 10 to the 83rd power! This level of complexity gives you considerable respect for what evolution can do. The Theory of Neural Darwinism explains how diversity functions in your recognition or perception of the world. It does it by having a huge number of repertoires of variance. Those that match are reinforced in their synaptic connections, and those that don’t match are diminished. This means that everybody’s brain is quite unique. No two brains are alike, even identical twins. Finally, there is a complex process called reentry, in which there are massively parallel, reciprocal connections amongst brain areas. A process of electrical stimulation across these various areas couples the maps of the brain together. So, they all act together. This process of reentry, according to the Theory, is the origin of consciousness in that part of your brain that connects to the cortex, called the thalamus. The thalamus is the way station that connects all of the sensory elements, except for smell, directly to the cortex. This thalamocortical system has a huge connectivity, and is considered to be essential and required for consciousness through this process of reentry. Selection of the various neural circuits via this process of reentry gives rise to the various conscious experiences. 2) Darwinian Evolution and Qualia: Perhaps 25 million years ago, circuitry was developed during animal development in which the thalamocortical connectivity was established back and forth in a reentrant fashion. That allows an animal with that brain to carry out an incredible number of different discriminations, what you might call “qualia.” What philosophers call “qualia,” i.e., the greenness of green or the redness of red, is a little too constricted. Edelman believes that qualia are all the states you are experiencing and not experiencing now. Those qualia are those discriminations. 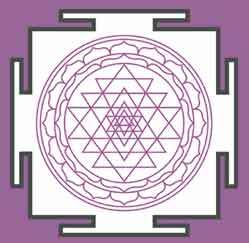 Thus, the thalamocortical core, or dynamic core as he calls it, is responsible for giving rise to all those incredible numbers of discriminations. And, qualia are the discriminations. Obviously, an animal that could discriminate in this fashion would have a selective evolutionary advantage. 3) Degeneracy: Different neuronal populations may give rise to the same qualia. This very interesting but difficult concept Edelman calls “degeneracy.” For example, you may consider genetic code to be degenerate code. There are twenty amino acids that make up a protein. Coding for each acid is a particular set of triplet nucleotide bases of DNA and RNA. There are four different kinds: G, T, A, and C. Any three of those can form 64 different triplet codons. So, you can have 64 codes for each of 20 amino acids. The third position of each triplet can have nearly any nucleotide and it will still be coded for the same amino acid. If you consider that three hundred or so of these nucleotides strung together, i.e., a hundred triplet codons for a hundred amino acids in a row in a protein (the number of possible sequences in which you’ve changed every third position) means there’s a huge number of different nucleotide strings that will specify the same amino acid protein string. This is a typical case of degeneracy, in which different structures give rise to the same output or function. This phenomenon occurs throughout biology but especially in the case of the neuronal circuits of the dynamic thalamocortical core, in which many different structural circuits that will yield the same outcome. This strongly implies that different structures in different brains could give rise to the same outcome. 4) Primary Versus Higher Order Consciousness: Edelman makes a distinction between "primary consciousness" and "higher order consciousness." Primary consciousness is the ability to create scenes or complex discriminations, which he calls “the remembered present." Not until you have animals that have semantic capabilities, in the case of humans, true language, do you get higher order consciousness. If you have higher order consciousness, you can do what an animal that has only primary consciousness can’t do. You can have concepts of the past and the future, and you can develop a social self through language. Lower animals are conscious beings, but they only have primary consciousness. Conversely, humans not only have a sense of past and future but they are able to be conscious of being conscious! Edelman's "primary consciousness" and "higher order consciousness" appear to be somewhat similar to Antonio Damasio's concepts of "core consciousness" and "extended consciousness." 5) Primary Consciousness: Edelman uses the term "primary consciousness" to stand for the varieties of perceptual awareness that humans share with many animals. He locates this neural basis in a "dynamic core" of neuronal interactions, a dominant but constantly shifting nexus of activity that plays across the cerebral cortex, coloring the shades of our experience as its internal alliances form and break. Edelman uses two approaches to understanding how these neuronal networks came to be. The first, his "theory of neuronal group selection," uses a Darwinian model to explain how such networks are generated during the brain’s development, selected through interaction with the environment, and consolidated by a process of "reentry" that creates stable long-range "mappings" across the cortex. The second approach identifies the role of exchanges between anterior brain systems, concerned with memory and the evaluation of experience, and posterior regions, concerned with perceptual categorization. The ultimate work of the dynamic core is to enable the infinity of discriminations summarized in the "scenes" of our perceptual experience, which constitute primary consciousness. Edelman believes that selfhood and subjectivity, two of the defining features of consciousness, result naturally from the ideas just outlined: selfhood is a consequence of the grounding of all our later experiences in early perceptions of the internal environment; subjectivity results from the unique developmental trajectory of each and every human mind. 6) Higher Order Consciousness: Edelman builds upon his theory of primary consciousness to provide for what he calls "higher order consciousness." This type of consciousness comprises an awareness of the past, the future, and the self that is aware of them. Edelman links this type of consciousness closely, though not exclusively, to our command of language and our associated semantic and/or symbolic capabilities. He also argues that neuronal complexity can best be understood in terms of the simultaneous compartmentalization and integration of brain function. The movement in Edelman’s exposition from simple to sophisticated forms of consciousness indicates that his theory is conceived "bottom-up." This is in contrast to the "top-down" theories proposed by psychologists such as Julian Jaynes and Nicholas Humphrey, who propose that normal human consciousness is post-language and is a relatively recent arrival on the biological scene.